AVG Resident Shield scans boot sector of removable drives, files referred to registry and potentially unwanted programs and spyware. It uses Heuristic technology to prevent or detect newly made viruses. 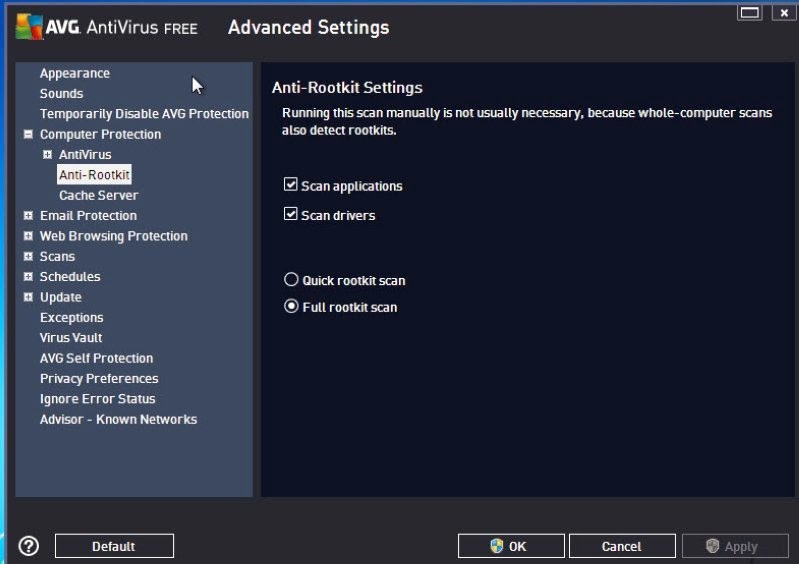 AVG Free Antivirus 2014 is also compact with Anti-Rootkits. It scans all applications in your computer system as well as your system drivers. AVG Free Antivirus 2014 scans your incoming emails as well as compressed data which is very essential because most of the time, perpetrators hide their malicious scripts and softwares inside archived files. This is AVG’s web browsing protection technology. It checks every link you might click while surfing the internet, a brilliant idea because links are most likely the culprits in spreading viruses on the web. AVG scans your Whole Computer by default, removes and heal virus infected files. It also automatically looks through Specific Infectable Files, Shell Extensions and Portables Devices. AVG knew as it is known to all of us, that no, nothing is perfect not even Antivirus. That’s why, AVG Exceptions cater those files or in this case a legitimate applications that sometimes detected by AVG 2014 as virus but it is not. AVG 2014 is one of the lightest free antivirus, I installed it on a Pentium 4 PC’s with no problems. It is fully compatible with Windows XP, Vista, Windows 7 and Windows 8.1. I tried it in 32 bit operating systems, it may work in 64 bit also but the AVG people didn’t include that information. I would suggest to use the AVG Offline installer if your Internet speed is a bit slow because it may take longer to install. Aside from that, I found no issues at all in installing AVG 2014. AVG got a 95.7 % Protection rate, 98.3% in Detection rate and 28 false alarms. AVG Free Antivirus is an average antivirus that can help home users get rid of common viruses. However, in my experience it wasn’t able to detect some newly released trojans and even Shortcut Virus. Plus, AVG’s AV Comparatives score isn’t impressive, the false alarm is very high, though you can use its exceptions settings to eliminate it. My advice, add Malwarebytes Free to your system to help AVG 2014 against malware and trojans. 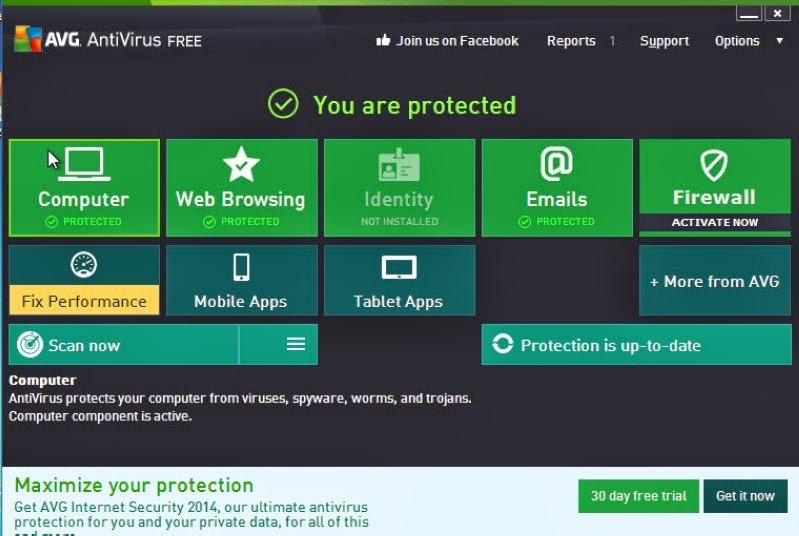 Have you tried AVG Free Antivirus 2014? Tell us your story.